First: What do we mean when we talk about ‘plot’? ‘A plot is also a narrative of events, the emphasis falling on causality. “The king died and then the queen died” is a story. “The king died and then the queen died of grief” is a plot. A plot is thus the ‘what’ plus the ‘why’ of a story, and how multiple whats and whys fit together in a larger chain. Detail from portrait of Forster by Dora Carrington. When you’re focused on a particular element of a story, whether it’s mood and atmosphere or plot, it’s helpful to write a list of things to keep in mind as you write. Create curiosity and raise questions readers want answered. Why did the man hide that gun? Why did the woman in the bridal gown get out of the car at that stop street and sprint away? Give readers something worth the investment of time and effort it takes to read. Give readers an entertaining, exhilarating adventure, a mind-expanding introduction to an interesting or controversial subject, or an emotional journey with unforgettable characters. Finishing our workbook How to Plot a Story: Plotting, plans and arcs is another good step to understanding how to plot stories well. Not every writer plots by default. If you prefer to invent as you go (‘pantsing’), that might be what works for you. Yet if you tend to get stuck at some point during drafting, create a plot outline. Creating a plot outline helps because it lets you step back and get a broader view of your narrative. You start to see clearer how it all might fit together. The king dies under suspicious circumstances. The queen dies of grief shortly thereafter. Because their only son is still an infant, this creates a power vacuum and a struggle for succession between the queen’s two elder sisters. The one sees the son as an obstacle between herself and the throne, the other has vowed to protect him. The example evokes curiosity: How will this conflict triangle play out between the squabbling sisters and the heir to the throne? What will happen to the prince? There is already promise of plot cohesion – the action of the story relates to the opening premise. The story obeys its internal logic – a power vacuum is created and this attracts power-seeking characters. There are many different ways to outline plot points. 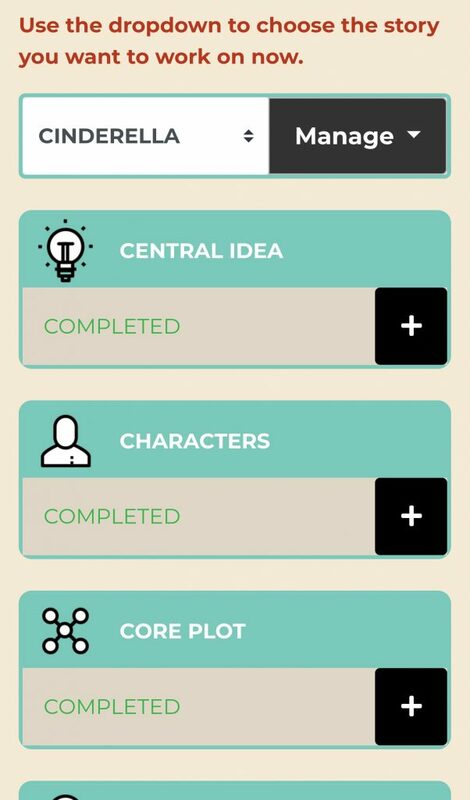 Try the ‘Central Plot’ section of our Story Dashboard for step-by-step plot development prompts. Yet secondary plots or subplots are useful too and key to understanding how to plot a novel of a little greater complexity. Subplots often extend, complicate, or give different insights into the main themes and events of the story. In a subplot, the queen could have had a close confidant whose future is thrown into uncertainty when the queen dies. The attendant’s future is uncertain because the queen’s eldest sister envied their closeness. So the confidant assists the other sister vying for the throne. This subplot would illustrate the complexity of deep ties of friendship alongside the ties and petty struggles that exist between family members. The subplot could show how the competing sisters’ poisonous personalities rope all around them into continuous conflict. As Kurt Vonnegut famously said, every character in your novel should want something, even if it’s only a glass of water. Character motivation is an important part of plotting a book. If your characters have clear motivations, they will inevitably lead to major story events and lesser subplots. If two characters are driven by a burning desire to hold power and occupy the same throne, for example, they will face off at some point. To plot your novel well, make sure whenever you introduce a character that you have an idea of what their main purpose is in the story. This will help you to create concrete, bold characters as opposed to characters who waft in and out of your narrative and seem to lack purpose. When you write a novel, you’re working at multiple scales. You need to plot both the broader story arcs – what happens from chapter to chapter – and the smaller ones (the courses of individual scenes and chapters). Identify each scene’s purpose before you start. This is a key step in the Scene Builder tool in the Now Novel dashboard for a reason. Knowing why you’re including a scene helps you to find it’s purpose, focus and narrative drive. When you plot each scene with purpose, you’ll have fewer sections of your book that meander down non-productive avenues. This makes rewriting and revising at a later stage easier, too. Often as writers we are stronger in some areas than others. We might love creating characters but hate trying to describe their homes. We might love writing the fast-paced action scenes but abhor dialogue. Is it clear to my reader who my characters are and what motivates them? Do my characters or settings change in a way that logically fits unfolding events? Change and the unexpected are two core elements of plot and a major part of what makes a great story gripping. People change, and places, too. 7. Use your plot outline as a guide, not an iron grid. Creating a plot outline is crucial if you want to have an idea where the story is going. It helps you avoid getting stuck. That’s why we developed Now Novel’s Story Builder (try it now). It’s a guided step-by-step process for fleshing out the central idea, core plot, setting, characters, scenes and world of your book. Use the outlining tool on a desktop or mobile device. Although a plot outline is helpful for structuring your story and staying on track, remember that it is a flexible blueprint rather than a rigid structure each element of your novel must bend to fit. You could find, for example, that you expected characters A and B to become romantically involved in the course of your story. As you write, though, you discover there’s more romantic chemistry between characters B and C.
Go with what feels right as you write, and go back and alter your outline accordingly. Note down what you have to change in your outline and your reason for changing it, as this will help you to keep the scaffolding of your story clear in your mind and avoid having to repeatedly read through the details. What is the best advice about plotting novels you’ve ever read or received?